Find unbeatable deals on a quality Diesel power performance parts and more in our auto parts catalog online. We carry diesel performance parts from from Edge Products, Bullydog, Hypertech, Superchips, Edelbrock and more. Whether you need more power and torque or just want better fuel economy, we have the parts you need at unbeatable prices. Many of our programmers have instant online rebates! 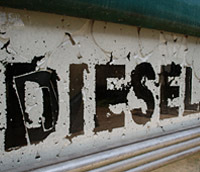 If you don't see the diesel truck accessories you are searching for, call or email us, chances are we have them in stock. Guaranteed lowest prices and friendly customer service.